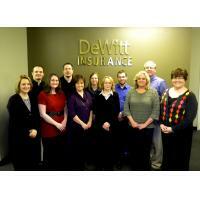 Welcome to DeWitt Insurance. Were here to serve you. We can meet all of your Insurance needs. FOR INDIVIDUALS. We provide Home, Auto, Health, Umbrella, Life. FOR BUSINESSES. We provide Auto, Workers Compensation, General Liability, Property, Employment Practices Liability, Bonding, Cyber Liability and much more! The Professional Source for all your insurance needs. DeWitt Insurance was founded in 1925 by Charlie DeWitt, best known for his ownership of the St. Louis Browns. In 2002 Jeff Roberts joined DeWitt Insurance, Inc. by opening an office located in St. Peters, MO known as DeWitt of St Peters. 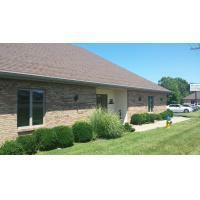 In 2006 DS Johnson Insurance and its existing office located in O'Fallon, MO joined the agency to form DeWitt of O'Fallon. Today, DeWitt Insurance, Inc. offers many competitive products through most carriers in the industry. Our staff offers over 100 of years of experience. We promote education which ensures we can offer you some of the most knowledgeable and helpful staff that can be found. Designations of agency personnel include: Certified Insurance Counselors (CIC), Certified Insurance Service Representatives (CISR), Associates in Production (AIP), Accredited Customer Service Representative (ACSR) and Commercial Lines Coverage Specialist (CLCS). In short, no matter the size or complexity of your policy, our goal is to always provide you with the most comprehensive and competitive product with a knowledgeable, professional staff to serve you.